Making games for mobile devices has never been so easy. 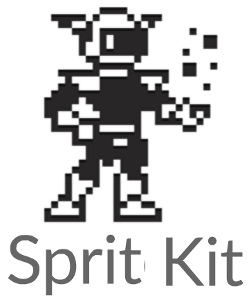 SpriteKit offers a fast & clean way to get those forgotten projects out from the attic and build them definitely. The idea is to start making a demo of an old car game such as Road Fighter. We will be using basic graphics, that means rects drawn by the engine, we're not using images yet so you can learn handling basic shape drawing as well. The idea is to keep it simple but on the other hand I want to give you a simple playground that you can use as reference to grow it bigger later.